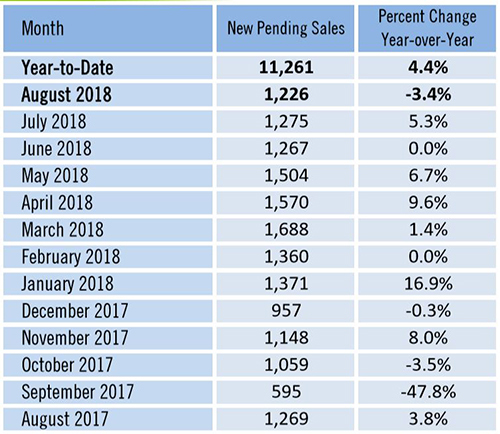 In 2018 we’ve been on a recent record pace, eclipsing 2015 levels for homes sold in one year. We haven’t gone back and analyzed against all-time highs more than a decade ago. 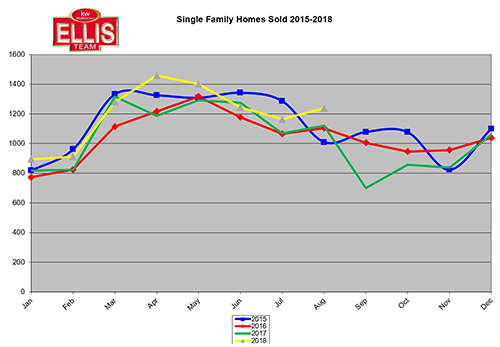 Since prices and home sales reset after the correction, we’re analyzing against recent records. We believe we’re behind 2005 sales numbers, but not by as much as you would think. 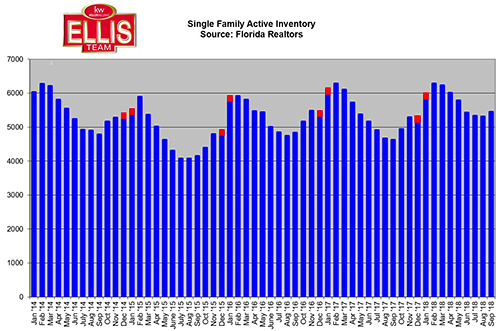 SW Florida homes closed YTD slipped slightly in September. 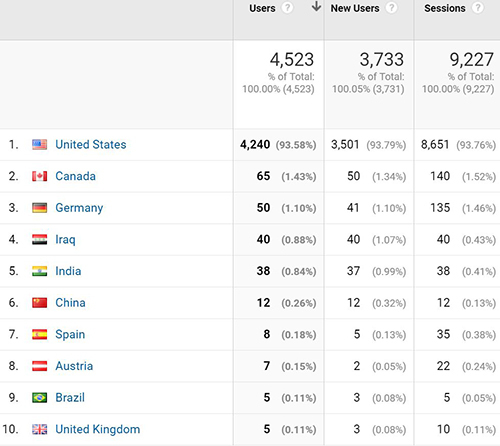 We’ve been trending above 2015 numbers, so what changed? In September of this year we dipped below 2015 levels and that set us back. 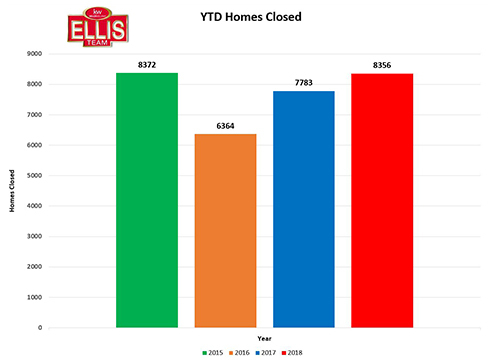 We only had 922 closed sales in September. Back in 2015 we had 1,078. I think we’ll be able to track where our market is headed by how well it holds up to 2015 levels. This year we had 968 new pending sales. Back in 2015 we had 1,169. 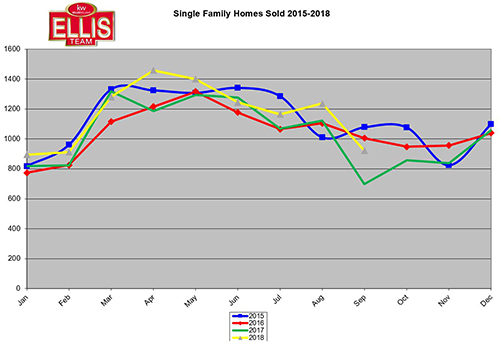 This could be an indicator that closed sales in October may fall below 2015 levels as well. The median price back then was $211,578 and we had 3.7 months supply of inventory. 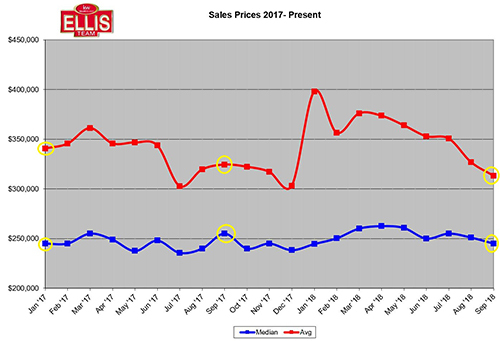 Contrast that with today our median price is $245,000 and a 4.9 month supply of inventory. 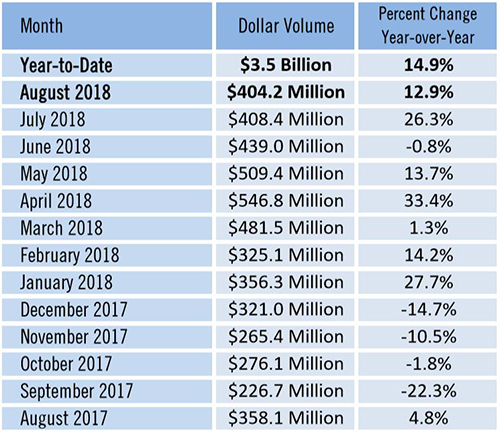 What’s different today is median home prices are 15.8% higher than they were 3 years ago, and interest rates were 3.978% and falling in 2015. Today rates are at 4.875% and rising. 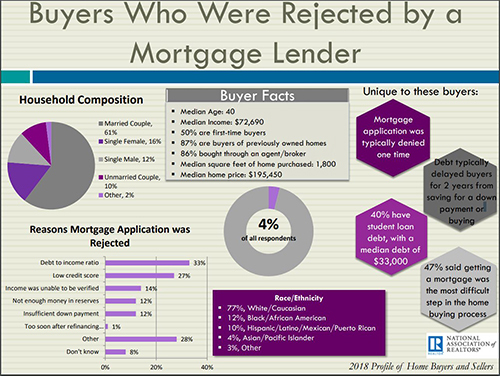 Rising rates have a way of spoiling home sales in that they rob buyers of purchasing power. At some point they rob sellers too because if the sellers raise prices and rising interest rates also put pressure on buyers, the whole train stops. You can’t have both for very long. When buyers are maxed out, they’re at their limit. With every rise in rates, it could be at the seller’s expense next. The only thing that can offset this is rising wages. Wages do appear to be on the rise somewhat, but they lag rises in rates. 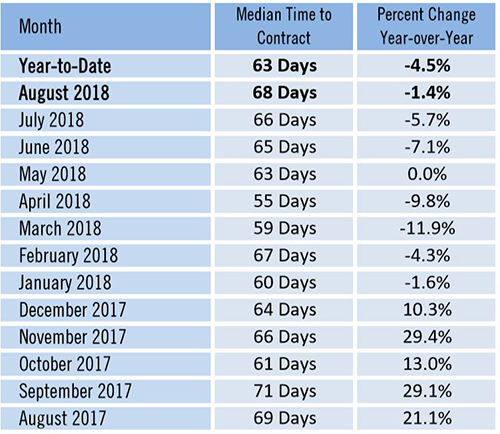 This might explain why home prices haven’t risen since January of 2017. Sure, we’ve seen blips up and down, but statistically they haven’t moved. How does this affect sellers trying to sell their home? First off, we’ve got a balanced market. 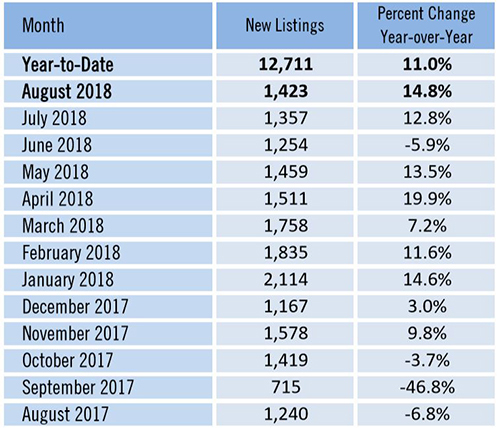 Homes are moving if marketed and priced correctly. Perhaps now more than ever marketing becomes critical. 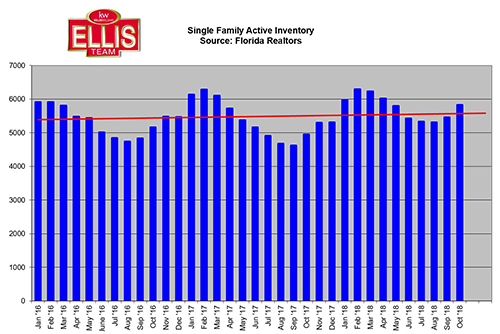 Prices are stagnant, interest rates are rising, and inventory is building. Hiring a Realtor who markets is critical. We’re not talking about posting it on all the websites. That’s not marketing. Anybody and everybody can do that. If you’re not sure what we’re talking about, then definitely give us a call. 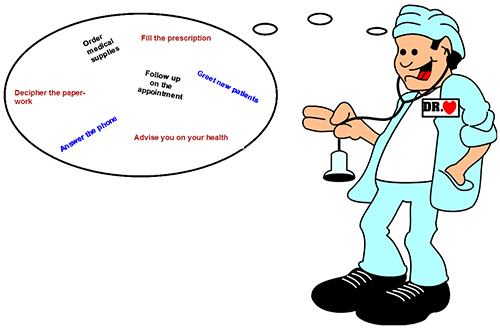 When you sit down and see, it’s easy to understand why our results are different. This is also the silly season for Realtors. Board dues are up end of the year. Realtors that haven’t marketed or seen results from their lead generation begin shopping around. As a last-ditch effort to save their career, they look to low cost brokerages to reduce fees. Ultimately this doesn’t bring them more buyers or sellers, so they eventually quit, but it does buy them a few more months in the business. Others look to hop on teams that provide leads. Some are so deep in debt even this won’t work because they waited too long. Or, they just don’t know how to close leads. When selecting a Realtor, ask to see their marketing. Then call us. I bet you’ll see a difference. Ask them how many listings they successfully sold last year. Ask them how long they’ve been with their company. Do they jump around? Will they be at the same company in a month or two? Can you get out of your listing if they move? Ask all these questions before you sign up. Your best bet is to just call the Ellis Team at Keller Williams Realty the first time. Sure, we help a lot of customers who are on their 2nd or 3rd Realtor. Wouldn’t it make sense to just use us first? Call Sande or Brett Ellis 239-489-40402 Ext 4 or visit www.SWFLhomevalues.com Good luck and Happy Selling! 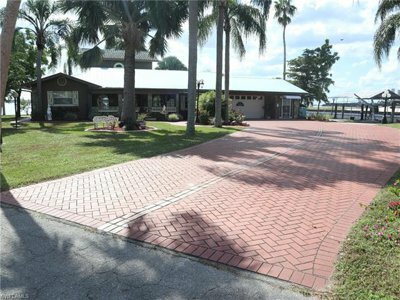 Posted in Cape Coral, Cape Coral Real Estate, Fort Myers, Fort Myers Beach, Fort Myers Real Estate, Open House.